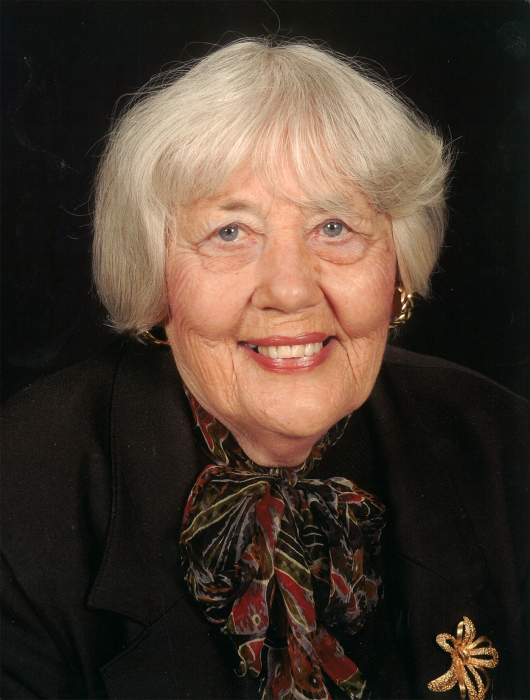 It is with great sadness that we announce the passing away of Mary McClennan at the Lethbridge Hospital on January 28, 2019 at the age of 88. Mary was born and raised in Dauphin, Manitoba and, after growing up, she worked as a waitress before moving to Toronto and then on to Kelowna, where she met her future husband, Fred. They were married shortly after on September 6, 1952. Then, they settled down in Nobleford, Alberta where Fred farmed. A year later their son Jerome was born and they enjoyed their life there for 30 years before moving into Lethbridge. While living at the farm she began to study the Bible and was baptized as one of Jehovah’s Witnesses in 1957. As she learned the truth, she instilled her love for Jehovah in her son and was happy to see him and his family all become worshipers of Jehovah. She actively continued to share her Bible hope with others despite advancing age and limited mobility. She especially loved outdoor work, always tending to her flowers and garden. She was an amazing cook and took joy in making her family’s favorites. She was predeceased by her parents Andrew and Lena Kutcher and her husband Fred. She is survived by her son Jerome (Jane), grandson Loren (Nikki) McClennan and their children Ryder and Sahara, granddaughter Lynn (Nick) Szczepaniak and their children Layla and Prim. She is also survived by her sister Helen Kutcher. A Memorial Service will be held on Friday, February 1, 2019 at 2:00 p.m. in the Kingdom Hall of Jehovah’s Witnesses, 1510 Stafford Drive North, Lethbridge. In lieu of flowers, donations may be made in Mary’s name to the Worldwide Work of Jehovah’s Witnesses.